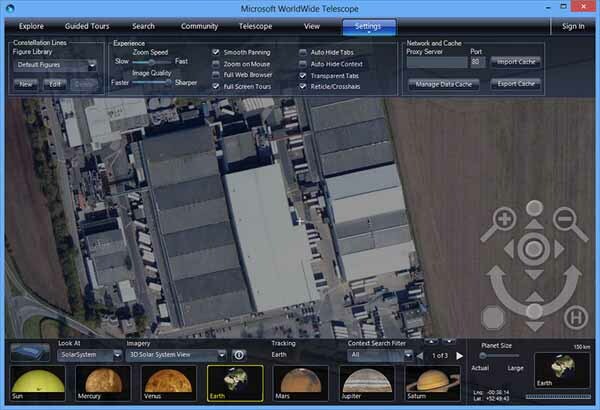 Download WorldWide Telescope latest version free. It is developed and published by Microsoft. It is directly rival and competitor of Google Sky. This application contains the images of space that allows you to start observe on stars, planets, galaxy constellations and other parts of space. A common man doesn’t afford to buy a telescope but, through this software he can enjoy the things of space without a telescope. This software is more professional than Google’s space browsing tool. Worldwide telescope helps you to enjoy as you are taking ride on the NASA shuttle of our planet. Basically it is not the space browser tool like the Google Sky but, it has the great tools of astronomy. You can move in sky with your mouse. You will feel that you are in space riding in a space shuttle.